We are proud to have the largest collection of rare and antique Buddha heads, Buddha statues and Buddhist art in the world. The Buddha heads or Buddha head statues in our gallery are rare pieces of history and culture surviving over many centuries in various Buddhist temples and monasteries. 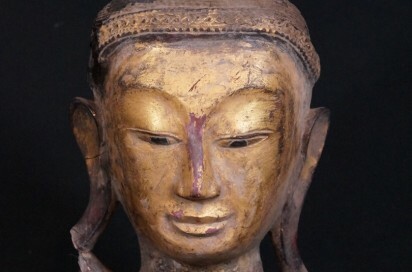 These representative head of the Buddha we sell are mostly original and antique Buddha heads imported to our gallery directly from Burma and other Asian countries. Buddha is depicted in many forms of iconography. There are many depictions where only the head of the Buddha is created as it is one of the most important parts of the body. 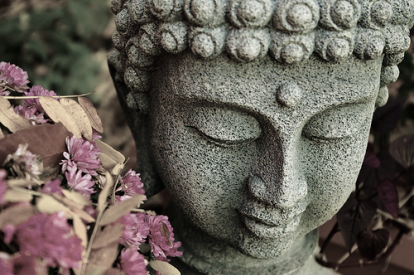 The Buddha heads represent the knowledge of Buddha along with the serene nature of the expression that comes with it. Oversized with a large cranial lump on the head, known as the Ushnisha, it represents the wisdom and knowledge the Buddha gain after attaining the enlightenment. Similarly the urna, a round tuft of hair between the eyebrows signify the supernatural vision the Buddha has. 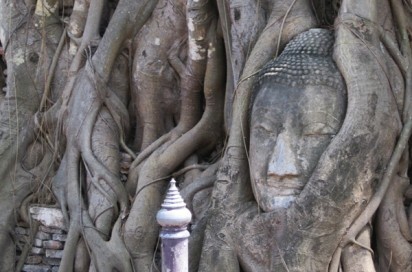 Short and curled hair of the Buddha in the Buddha head indicates the nobility of Buddha. Buddha heads are not only famous for their spiritual as well as religious importance, but they also act as great pieces of decoration for you and your loved ones’ surroundings. They not only beautify the surrounding, but also spread the influence of peace and harmony around you. If you are looking for a great decorative piece, the Buddha head statues in our gallery may be the perfect piece for you and also a great gift for your loved ones who are followers of Buddhism. Lastly, we would want our valued customers to know that we have no policy of dealing with stolen Buddhist artifacts as we discourage the theft and illegal dealings of these historical pieces. 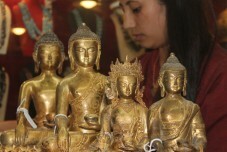 Hence, you can be assured that the Buddha heads we sell to you are completely legal and authentic. 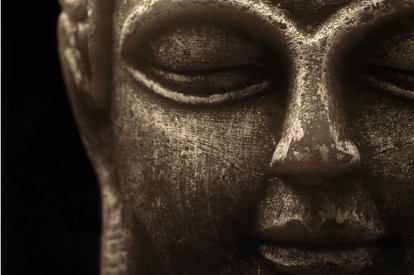 Through our website, we sell our Buddha heads to collectors and galleries worldwide. We can arrange careful packing and all necessary documents for shipping.